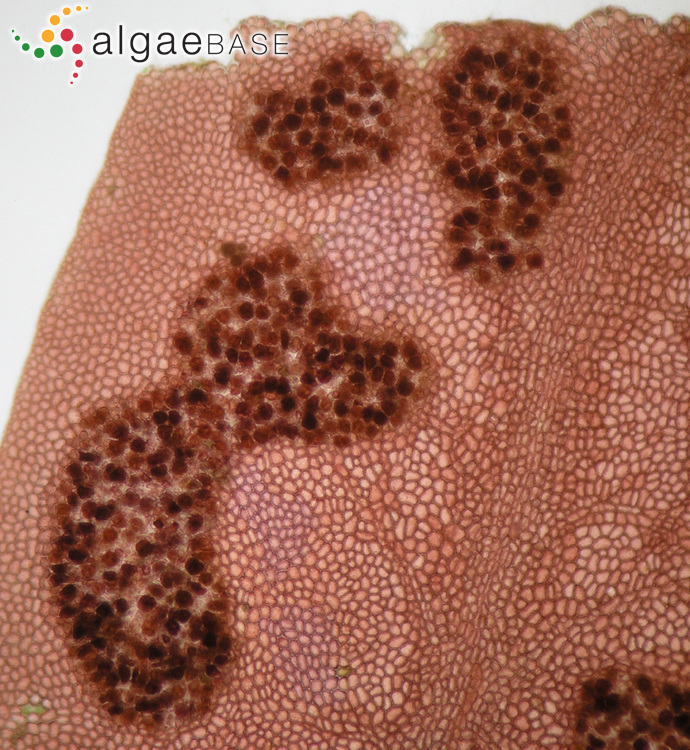 microscope surface view of tetrasporangial sorus, Ría de A Coruña, Galicia, Spain, 2005. Ignacio Bárbara. © Ignacio Bárbara (barbara@udc.es). 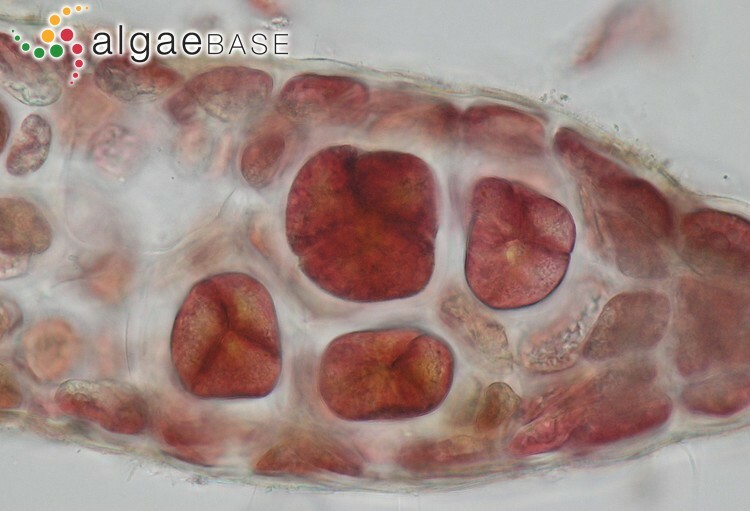 microscope transverse seccion of tetrasporangial sorus, Ría de A Coruña, Galicia, Spain, 2005. Ignacio Bárbara. © Ignacio Bárbara (barbara@udc.es). 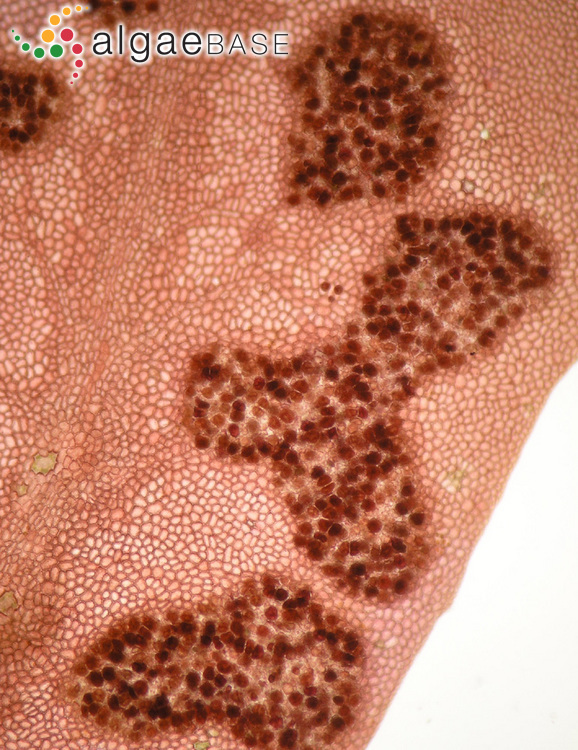 microscope transverse seccion of vegetative blade, Ría de A Coruña, Galicia, Spain, 2005. Ignacio Bárbara. © Ignacio Bárbara (barbara@udc.es). lower dal, Biarritz, France, 2011. Ignacio Bárbara. © Ignacio Bárbara (barbara@udc.es). San Román, Lugo, Galicia, Spain. Ignacio Bárbara. © Ignacio Bárbara (barbara@udc.es). 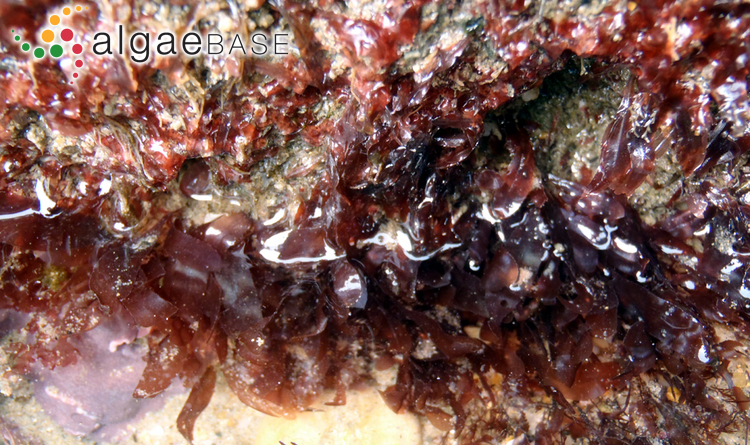 The type species (lectotype) of the genus Erythroglossum is Erythroglossum schousboei (J.Agardh) J.Agardh. Adjective (Latin), belonging to Lusitania (western Spain; modern Portugal and parts of the Spanish provinces of Estremadura and Toledo) (Lewis & Short 1890). 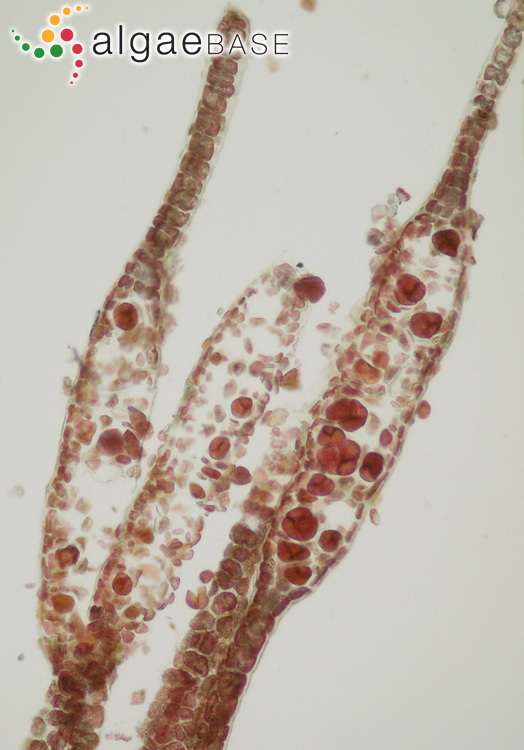 Type locality: "Type: Herbier de Coimbra. Loc. : Montedor 25/3/63. Herb. : Penedos de Medroa-Buarcos, 10/1929, leg. Moraes, sous le nom de Rhodymenia palmata, type COI" [Portugal] (Ardré 1970: 217). Neotype: F. Ardré; 25 iii 1963; PC 0122679 (Díaz et al. 2009: 208). Notes: Diaz et al. 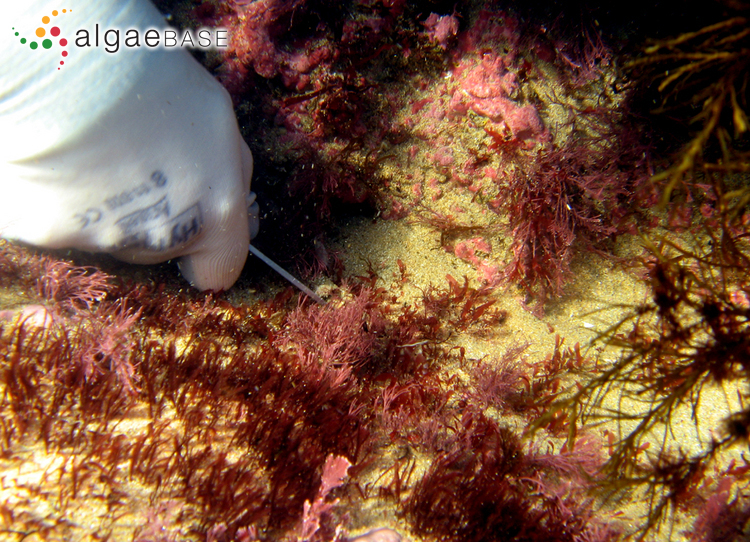 (2009: 208) note that the single specimen designated by Ardré (1970, pl. 55, fig. 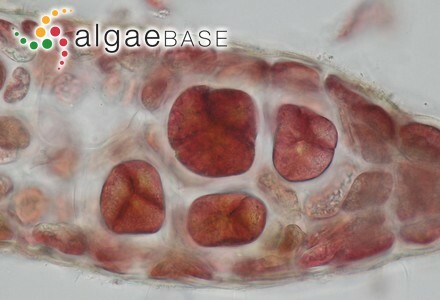 1 as holotype (from Buarcos, leg. Moraes) was not found in the Coimbra Herbarium (COI). Holotype from Buarcos, collected by A.Taborda de Moraes, x, 1929; neotypified with Ardé collection (25 iii1963) from Montredor (PC 0122679) (Index Nominum Algarum). 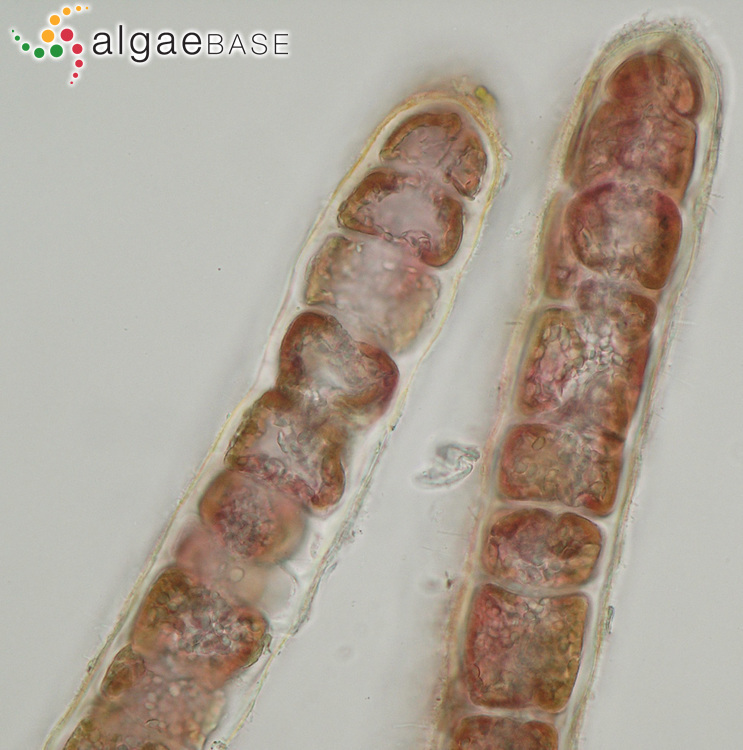 Lectotype locality: Montedor, Portugal (Diaz-Tapia & Bárbara, 2014: 164). Díaz, P., Berecibar, E., Bárbara, I., Cremades, J. & Santos, R. (2009). 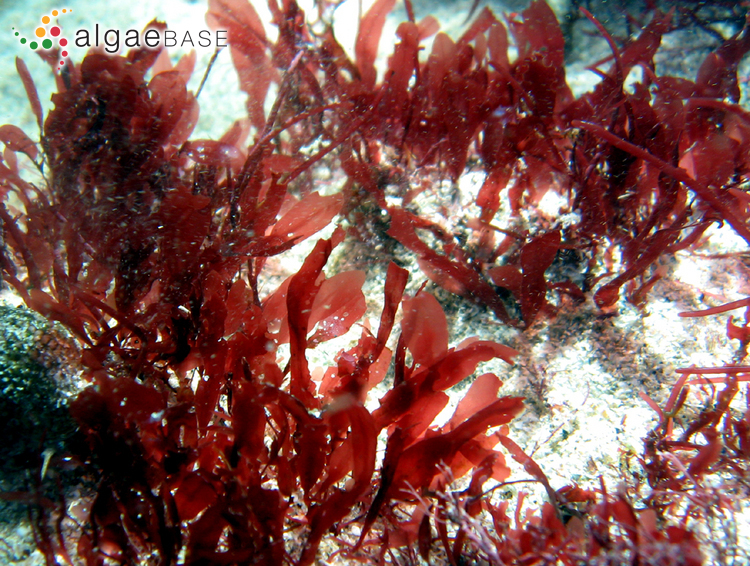 Biology and taxonomic identity of Erythroglossum lusitanicum (Delesseriaceae, Rhodophyta) from the Iberian Peninsula. Botanica Marina 52(3): 207-216, 6 figs, 1 table. Diaz-Tapia, P. & Bárbara, I. (2014). 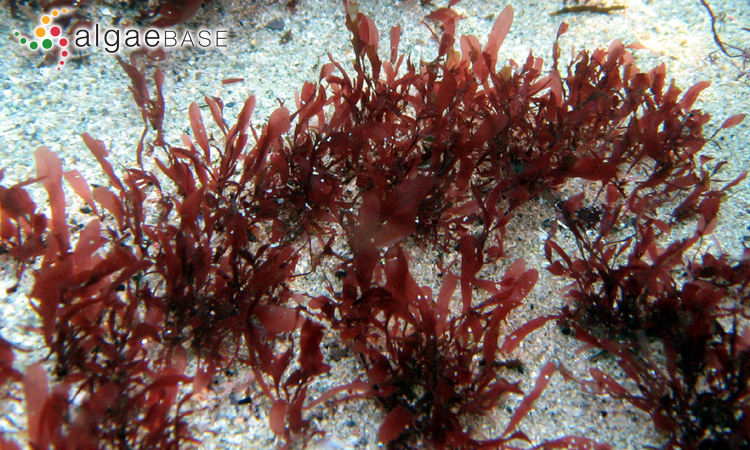 Seaweeds from sand-covered rocks of the Atlantic Iberian Peninsula. Part 2. Palmariales, Ceramiales (excluding Rhodomelaceae), Gelidiales, Gigartinales, Plocamiales, Rhodymeniales and Scytothamniales. Cryptogamie Algologie 35(2): 157-199. Accesses: This record has been accessed by users 5744 times since it was created. Diaz Tapia, P., Bárbara, I. Barreiro, R. (2011). 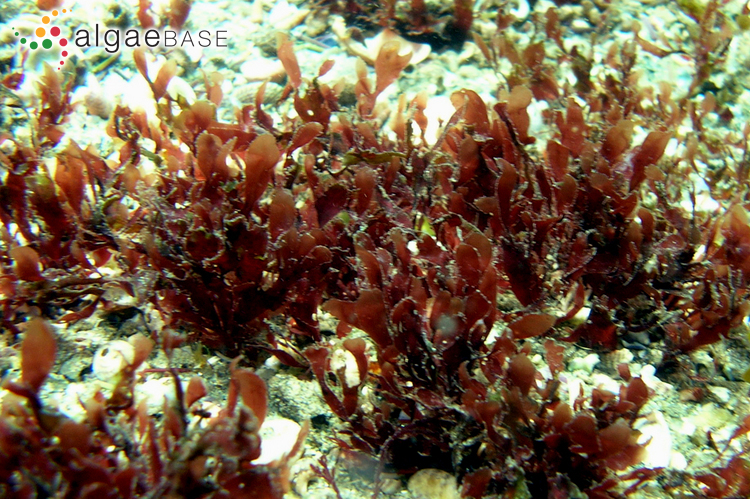 Iberian intertidal turf assemblages dominated by Erythroglossum lusitanicum (Ceramiales, Rhodophyta): structure, temporal dynamics, and phenology. Botanica Marina 54(6): 507-521.